On the one hand, the UN Security Council has passed eight resolutions on this topic, including resolution 1325, and the UN Secretary-General (UNSG) is promoting mediation initiatives that are more inclusive. The UNSG’s newly appointed High-Level Advisory Board on Mediation is composed of an equal number of men and women, and he has recently appointed a woman, Christine Schraner Burgener, as his Special Envoy on Myanmar. We also see a general push all around the world to increase the participation of women and gender expertise in mediation processes at both the international and the local level. On the other hand, in reality there is still a huge gap between the number of men and women involved in mediation efforts. Gender sensitive processes and agreements are still the exception rather than the rule. The collaboration and mutual understanding between peace practitioners and women rights’ groups remain challenging. This has thus encouraged several stakeholders to look for new ways to bridge the gender gap and promote the WPS agenda. Following examples from Africa, in particular from the FemWise network, other regional networks and national initiatives have recently emerged, including the Women Platforms of Colombia. Three new networks of female mediators have also been created. These are the Network of Nordic Women Mediators (NWM) set up in 2015, the Mediterranean Women Mediators Network (MWMN), established in 2017, and the Women Mediation Network for the Commonwealth Countries (WMNCC), which will be launched formally in 2018. Several discussions are ongoing to set up other networks around the world, and Norway is planning to launch a global “network of networks” in 2019. Therefore, looking more closely at the rationale and setup of these three networks is timely. For this purpose, swisspeace has conducted a number of interviews with leading practitioners, who are members or have been involved in the creation of female mediators’ networks. The following outlines the insights shared by our interlocutors. Why have female mediators’ networks been created? The still limited changes in terms of numbers of women in mediation processes as well as the lack of gender sensitiveness of processes and agreements are the key reasons behind the setting up of these mechanisms. Despite a strong normative framework, changes have indeed been very slow. Additionally, the current political environment seems conducive to the networks’ goal of pushing the WPS agenda forward. For instance, this is demonstrated by the Swedish feminist foreign policy and the commitment of the new UNSG to gender equality. The network idea is also potentially a way to encourage better dialogue between the two schools of thoughts on WPS: the ‘normative approach’ (i.e. women are equal to men and thus it is their right to participate in peace processes in an equal manner) versus the ‘pragmatic approach’ (i.e. making better use of the capacities of half the population). Indeed, having members from different backgrounds encourages exchange, mutual understanding and advice. Additionally, it fosters concrete results on the ground. Other factors that seem to have acted as a trigger include FemWise’s model and its impact in different contexts in Africa; female networks in other fields, like in the private sector, and how they are inspiring the peace field to test this option as a way to promote women at all levels; and the key need to have a pool of qualified female mediators that is ready to be deployed, so as to counter the argument that “there are no qualified women for the job”. The need for formal support systems and forums for exchange between women were also important reasons for setting up these mechanisms. Finally, another possible explanation for the creation of women mediators’ networks is the increased focus on more teamwork in mediation, as opposed to the reliance on a “chief mediator” (be it a man or a woman) who is expected to solve all problems. 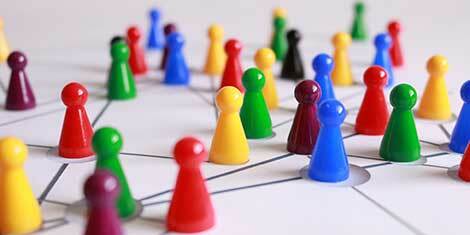 In such teamwork efforts, organization happens through a combination of hierarchy and networking. Female mediators’ networks may therefore be an attempt at more collaborative forms of teamwork compared to the hierarchic, top-down approaches of patriarchic forms of organization. What are the main objectives of these networks? to contribute to more gender sensitive processes and agreements. What opportunities do these networks offer? The networks aim to provide a structural solution for promoting women at all levels of mediation processes through direct support to female mediators as well as through amplifying female voices and mainstreaming the WPS agenda. Then there is the power of linkages that networks can offer. For instance, they not only link members but also topics, tracks, sectors and information in a creative and efficient way, one that is often missing in peace processes. The networks are composed of female experts in the field of WPS with various thematic foci. The majority are not former track 1 mediators but rather experts on security issues or women who have been mediating at other levels (track 2 and 3). The networks thus also offer training and mentoring programs to reinforce expertise on these aspects to their members. What are some of the challenges experienced by network members? In terms of practical challenges, the heterogeneous nature of these mechanisms seems to create complications. The diversity of members’ backgrounds and areas of expertise, as well as the support structures that accompany members, can slow down mediation processes. Another common challenge is that some members are retirees and others have full time jobs, thus reducing their availability. One of the top challenges is agreeing on the criteria for members’ selection. Who selects? Based on what criteria? For how long do the members stay in the network? Is there a rotational system? How are the networks related to the different rosters that may also be used as a pool from which women are selected for mediation jobs? And what roles are assigned to these women members: lead mediators or team members? These questions are not yet fully answered and show that these processes are still in an early phase of development. What defines the success of these networks? Another interesting challenge is the need to set benchmarks for measuring the success of female mediators’ networks. It is very hard to measure success in peace mediation generally, let alone the impact of women’s inclusion in peace processes on peace in the mid- to long-term. There is also a need to differentiate between measuring networks’ successes and the impact of women’s inclusion – which does not rely directly and solely on networks. Evidence of a greater number of gender sensitive terms of reference (TORs) for mediation teams. Networks can provide advice and support to improve the links between women mediators working in different tracks in peace processes. They can also be a catalyst for practice-oriented research on women and mediation. Networks can demonstrate new ways for national and international peace supporters to collaborate through partnerships within and between networks. In terms of career development, networks can also support the emergence of a new generation of female mediators through training and mentoring. Finally, networks can be a place to tell success stories about female mediators and their contribution to peace and security, helping to build further momentum around this issue. What is the role of men in these initiatives? How can their access and support be best utilized to make these networks more effective? What about insider mediators? How can the risks of pushing the deployment of international/Western based mediators at the detriment of local actors be mitigated? How can complementarity be fostered? What is the political backup for networks to ensure their sustainability? Are these initiatives linked to political agendas only or do they have other sources of support to protect their existence in the mid-term? What about funding? Do these networks have funding for the mid- to long-term? These points are worth exploring further in order to not only better understand these mechanisms but also ensure their relevance, quality and sustainability. Furthermore, mediation processes around the world could benefit from these networks’ contributions if they are well thought through, are strongly supported both politically and financially, and have clear mid- to long-term perspectives. Rachel Gasser completed the research for this blog in the framework of swisspeace activities on gender and peacebuilding. She is a peace process specialist with subject expertise on mediation and peace negotiation. She focuses on mediation strategy and support, conflict analysis, facilitation and coaching, and policy advice. She has been working for the last 15 years on issues related to peace and security in various contexts such as Myanmar, Somalia, Syria, Iraq and Israel/Palestine. She has worked both at headquarters and in the field with the UN and the Swiss Foreign Ministry as well as with international and local NGOs and think tanks, including swisspeace and the Centre for Applied Studies in International Negotiations. What a great idea! How about a Women Mediators Network in the DACH area? Is there an initiative for Germany, Austria and Switzerland?